When it comes to community mailboxes, like those found at the entry of some neighborhoods or apartment buildings. All of the mail for the complex is delivered to individual locked mailboxes that are located in one central location. The mail carrier delivers all of the mail for the entire building or neighborhood to one convenient spot. You are assigned a specific mailbox where your individual mail is delivered under lock and key. While your assigned mailbox is where your individual mail will be delivered. You will need to walk or drive to the wall of mailboxes to retrieve your mail. 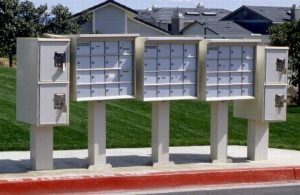 Community-mailboxes save time for the postal worker who is able to deliver bundles of mail for the entire apartment complex. Lost your mailbox lock key? We in Locksmith Atlanta can help. Our 24-hour mobile locksmith service provides a professional mailbox lock change in Atlanta and surrounding cities. We offer professional locks change for all mailbox locks and boxes beside the USPS federal mailbox. Our technicians carrying all types of mailbox locks at their work vans and will be able to match your old mailbox lock with a new lock and provide you with a new set of keys and the ability to get your mail again. There are two basic kinds of community mailboxes. While all mail delivery is protected under federal law when it comes to tampering with it, some mailboxes and their locks are the property of the United States Postal Service and are serviced by the federal government. The other kind of community mailbox is set up and owned by the Home Owners Association or condominium complex owners. Both types of mailboxes can legally be serviced by a professional locksmith as long as proof of identity is provided by the resident to whom the mailbox is assigned. 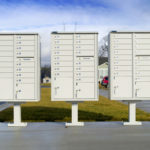 Usually, mailbox lock is found on community mailboxes, but individual residents are finding the benefits of locking up their street or rural mailboxes as well. While the most common type of mailbox lock is the basic key and tumbler, there are other options available for locking your mailboxes. Choose a lock that meets your needs. 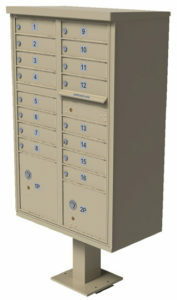 Such as mailbox vaults with locks designed for larger mailboxes so packages can be securely dropped off. Just like with any other mechanical component, you need to maintain your lock. They are often outside in the elements of extreme cold or heat as well as rain and snow. This makes the locks rust, corrode and wear out over time. When mailbox lock stop working properly, it is time to replace them. Like with any lock, it’s a good time to replace the lock and key if you have lost your keys or think someone you don’t know or don’t trust may have access to a duplicate key. It’s also a safety measure to replace mailbox lock whenever you move into a new home or apartment complex. Locksmith Atlanta provides a professional mailbox lock change for all type of mailbox lock – Visit us at Atlanta Experts Locksmith or call now (678) 942-6714! We are here to help!